New estimates show more than double the number of bike shops in the U.S. as previously thought. Here are the numbers behind those estimates, plus dealer share and what it all means for brands, retailers and, maybe, the future of the bicycle industry. It would be a superb exercise in mathematical calculation to divine how much money the industry will spend this year on trade shows, consumer expos, dealer events and other similarly aligned gatherings of bros and gals. Editor's note: At a session Thursday monring at the Bicycle Leadership Conference in Monterey, California, leaders of the Bicycle Product Suppliers Association and PeopleForBikes explained their plan to merge the organizations. Andre Shoumatoff, the former owner of a bike retail business in Utah, read the following letter at the session. In terms of e-bike units sold, the e-bike-only EBD channel is as big as the IBD. And they’re both growing. I talk to a lot of brands, managers, CEOs and otherwise generally important people. What I hear and see, almost daily, is that everyone is focused on the loss of retailers — “bicycle shops,” as it were. Rarely do I hear talk about the rise of mobile bicycle shops. And yes, these are bicycle shops. Much Bigger Pond = Much Smaller Frog: The IBD's slice of the e-bike pie is a whole lot smaller than we think it is. It's time we stopped kidding ourselves about that fact ... and start getting a whole lot smarter about what we're going to do about it. Your supply chains have been forever breached, and redefining retail ownership is the key to tomorrow's IBD success. I’ve been thinking a lot about the diversity problem in the bike service industry, and what needs to happen to change it. Rick Vosper: The Balance Of Power Has Shifted. Again. I often ask people, “Which group is stronger — retailers or bike brands?” Right now, we’re in one of the relatively few periods of agreement. James Stanfill: Eliminate the word FREE from your vocabulary! Ages ago, we sold bicycles and those bicycles had sustainable margins. Today, margins on most new retail goods are shrinking and while we’ve figured out that we can’t give stuff away, we still give away a free tuneup with some bike sales. Stick the word “nasty” in a sentence and it’s guaranteed to spark curiosity among our faithful readers. The president of Trek disputes the idea that industry lacks leadership and vision. Opinion: How is Your 'Professional' Hygiene & Time Management? Trey Richardson shares some thoughts on increasing your individual value and not letting the industry overtake you. We in the bike business have been hearing for about 20 years now that consumer-direct internet sales are going to eat everybody’s lunch. Any day now. No, really. It’s totally about to happen. And with respect to equipment sales, it definitely has. Just ask any retailer. But on the bike side of things, it’s a much different story. So let’s talk about how — and why — that works. 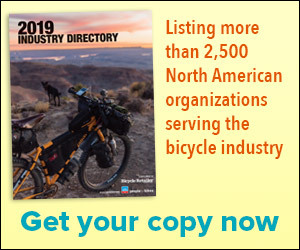 As 2019 began, I was sitting in front of my computer contemplating the last 62 years that I have spent in the American bicycle business. In Part One of this series, I discussed how the US bicycle business got to where it is today. In this section, we explore what that evolution means for the business mechanics of our industry.